Did I just say free fabric?! You heard me rave about Tamara Kate’s new Frolic fabric collection here and here! But I can’t help raving some more!! It was such a happy vibrant line to work with when designing my Spring is in the Air quilt pattern 💓 (available here). And the perfect antidote to anything that might be getting you down. The bright colours and whimsical designs are sure to lift your spirits and spur on your creativity. And today is your lucky day! 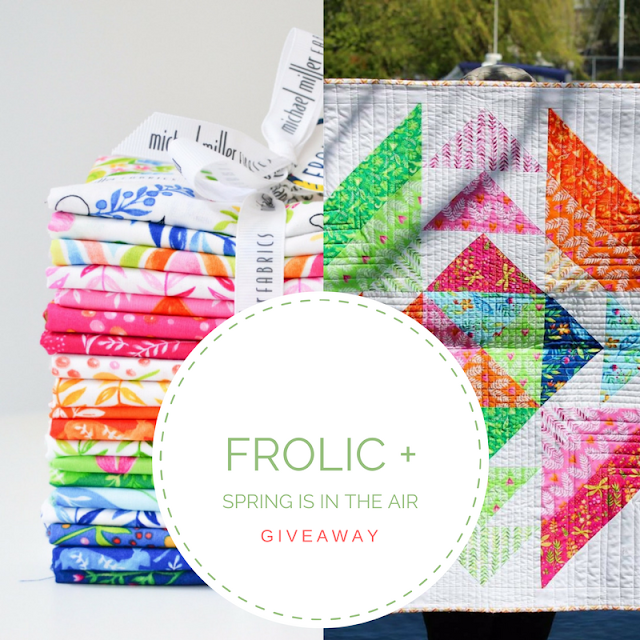 You have the chance to win this gorgeous fat quarter bundle featuring every single print in the Frolic collection!! That’s right! All 18 fabrics featured in the collection have been cut into a pretty little FQ bundle. All yours to play with! Just check out the pretty little stack! 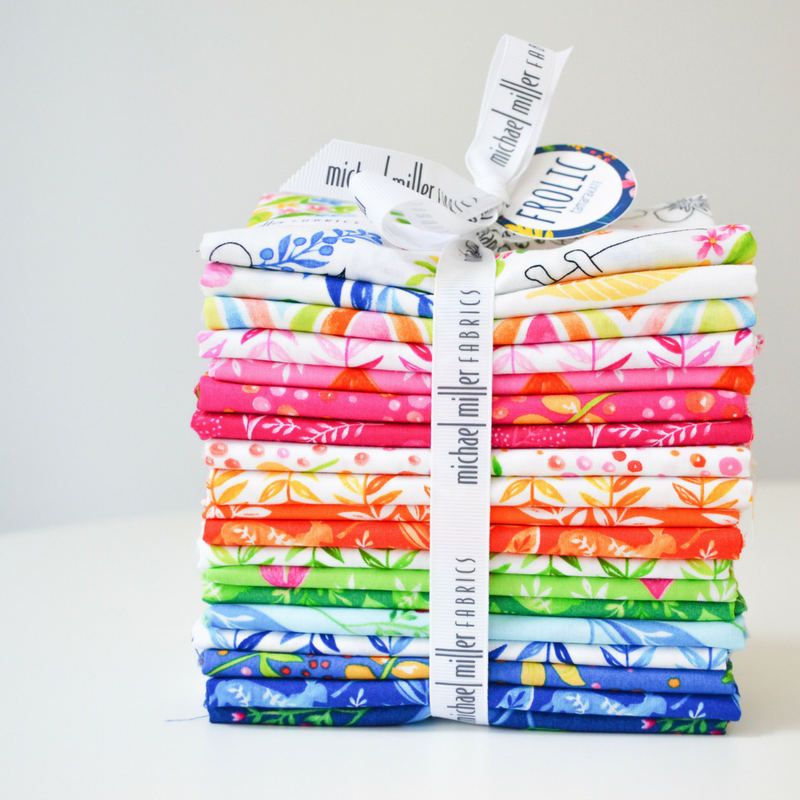 To celebrate today being the official launch date of Tamara Kate’s Frolic fabric collection, Michael Miller Fabrics is generously giving away this fat quarter bundle to one winner!! 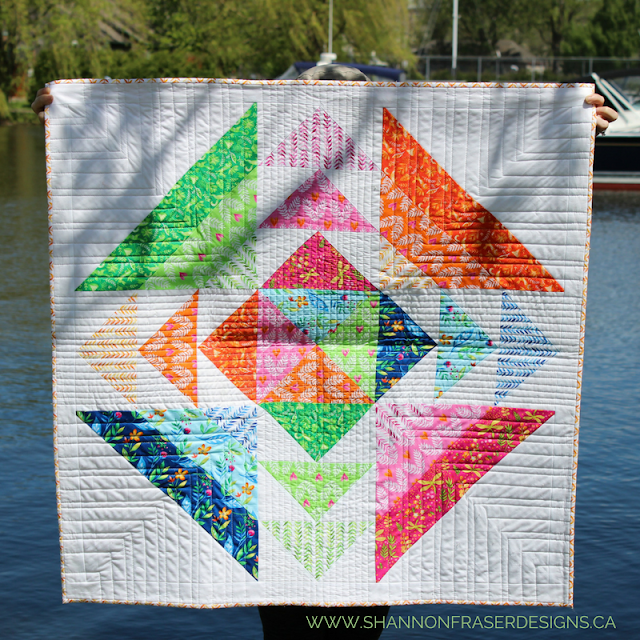 The lucky winner and a friend will also win a free digital copy of my Spring is in the Air quilt pattern! 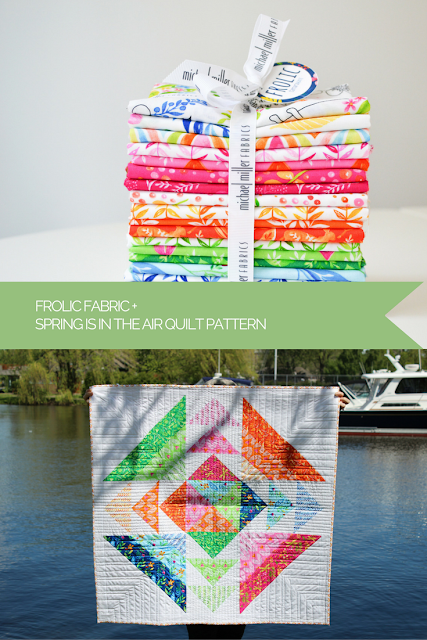 I had such a great time playing with the Frolic collection and I’m so excited you could get to as well! To win, all you have to do is hop over to Instagram – here. The winner will be announced over on Instagram on Friday. Thank you, Janice! They really are gorgeous fabrics!